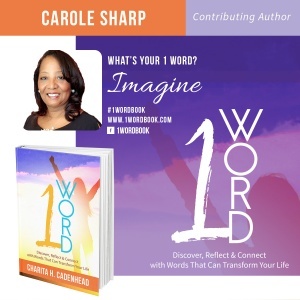 Click here order your copy of 1 Word: Discover, Reflect & Connect With Words That Will Transform Your Life featuring yours truly, Carole Hines-Sharp. All orders from this page will be personally autographed by me. In this book, 14 authors share one word that has served as a motivating force in their path to personal or professional success. Along with the word, they share a motivational situation about how this word helped to transform their lives. While our stories may be different in their own right, our stories connect all of us thought-leaders and positive role models. 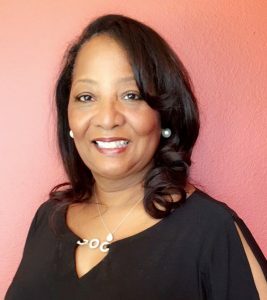 ABOUT THE AUTHOR: Carole Hines-Sharp is a wife, mother of 4 adult children and grandmother to 8 beautiful grandchildren and survivor of Triple Negative breast cancer. She was born and raised in Birmingham, AL and now happily resides in Rialto, CA. Carole has had two highly unexpected experiences in her life that will forever change her. The first is having survived breast cancer. Because of that life-changing experience, she now holds the designation of Cancer Survivor that so many hold with honor and dignity. As a survivor, she now helps others navigate through the uncertainty of this deadly disease and help the cope through it all. The second unexpected entry to her bio is now that of author which has proven to be quite a rewarding experience. Having taken part in this 1 Word book project, by her own admittance, she is now encouraged and motivated to write a story of her own.